As we all know that yesterday SSC declared marks of SSC CGL 2016 Tier-1. Now its our turn to give you Rank List for the same. This Rank List has been prepared by our helping friend, Rohit Lee and proper credit goes to him. You may Download the excel file from the link given below. 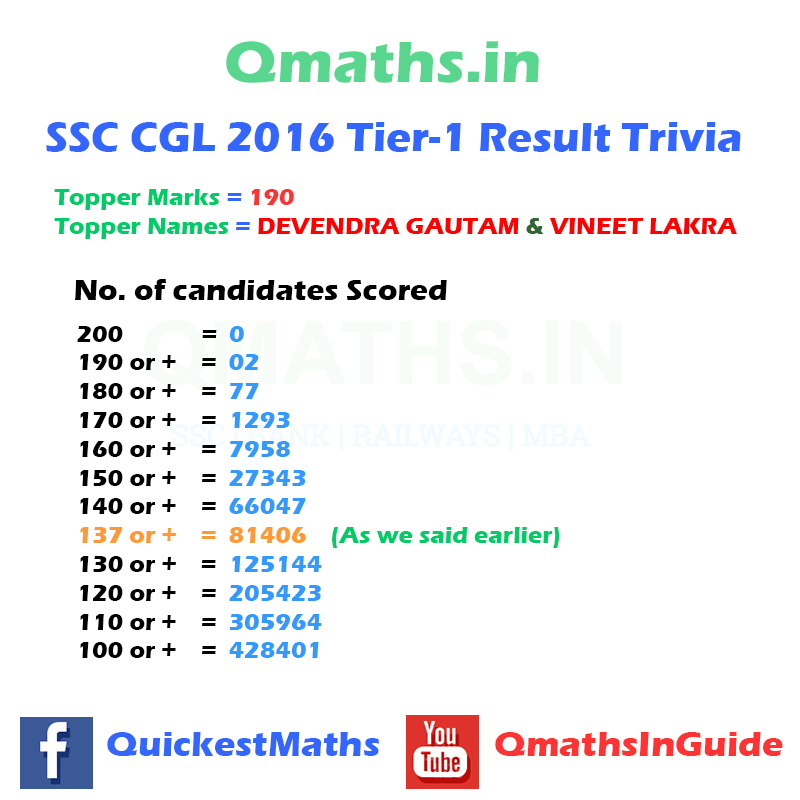 DEVENDRA GAUTAM (2201276036) and VINEET LAKRA (2201321022) with 190 Marks are the Topper of SSC CGL 2016 Tier-1, and Team Qmaths Congratulates them in their grand success, and wish all the very best for Tier-2.